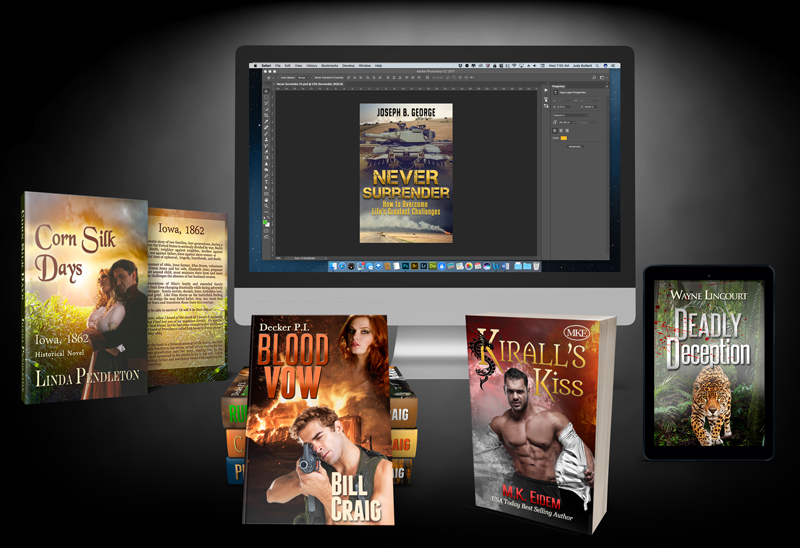 Whether it's E-Book covers or Print on Demand, Custom EBook Covers will design a cover best suited for your book's style. I am not a freehand artist or an illustrator, I use royalty free stock images and manipulate them to best suit your storyline. I have 17 years experience in designing covers in most genres. With self publishing becoming more popular among authors, selecting a book cover designer who not only has reasonable prices but produces an eye catching cover is of the utmost importance. Studies show, people choose a book by its cover, in about 8 seconds. Appealing book covers will help get your book noticed. Please visit my Prices page for samples and pricing. For information about the Design Process, click here.